RS Puppis rhythmically brightens and dims over a six-week cycle. 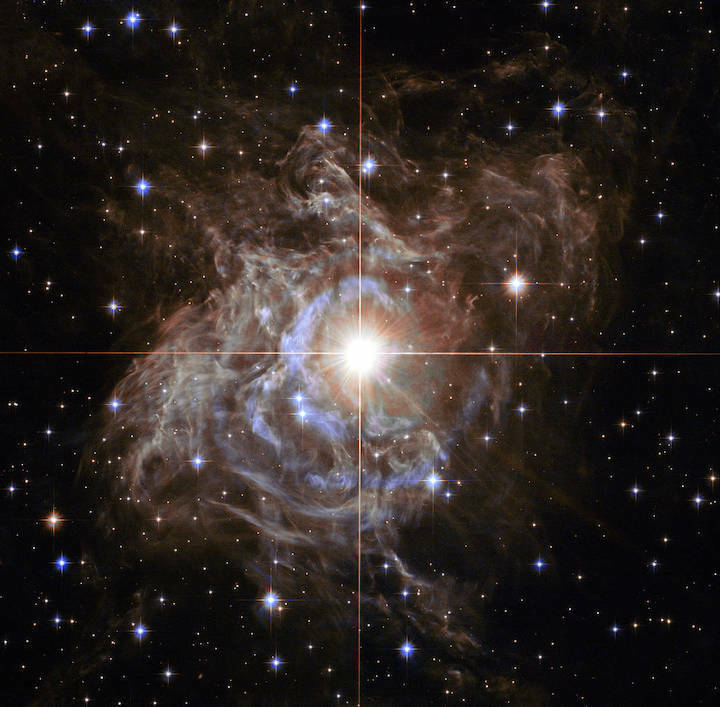 It is one of the most luminous in the class of so-called Cepheid variable stars. Its average intrinsic brightness is 15,000 times greater than the Sun's luminosity.